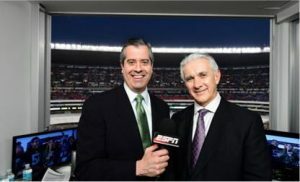 As reported July 22 by Al Peterson’s NTS MediaOnline Today, KKSF-AM 910 in San Francisco has dropped its Talk lineup in favor of the syndicated ESPN Deportes Radio Spanish-language Sports network. The iHeart Media station, which enjoys a full-market signal, will now be run via multi-year LMA with Dallas-based Deportes Media LLC. With KKSF-AM, Deportes Media now operates in four markets; its other ESPN Deportes Radio stations are located in Miami, Houston, and Dallas. KKSF-AM succeeds KTRB-AM 860 as the ESPN Deportes Radio affiliate in the Bay Area. However, it will not be carrying over the Alliance Radio Network-syndicated El Show de Piolin morning-drive program, hosted by former Univision radio mega-star Eddie “Piolin” Sotelo. According to Ed Krampf, the former Adelante Media Group executive who now reps El Show de Piolin, Alliance ended its relationship with Alliance Radio Network several months ago. The program had also aired on Deportes Media’s Dallas (KZMP-AM 1540) and Houston (KGOL-AM 1180) stations. KTRB-AM over the July 4 weekend became a conservative Talk station via an LMA struck by Salem Media Group, as “AM 860 The Answer” — mirroring a presentation found at the company’s stations in Los Angeles and Tampa,among other markets. The station is currently in receivership. ESPN Deportes Radio had aired on KTRB since late June 2011. KKSF-AM 910 had a shaky run as a Talk station, with hugely popular Sacramento-based morning hosts Armstrong & Getty replaced on April 1 by syndicated liberal talk host Stephanie Miller. Other hosts included Gil Gross, program director Cory Callewaert, Joel Riddel, the syndicated Alan Colmes and The Doghouse hosts Jeff “JV” Vendergrift and Dan “Elvis” Lay. It’s hardly a secret that Hispanic sports fans in the U.S. love soccer. In some cities, the word “love” may be an understatement. potential for growth in the U.S. Hispanic market. emerged as a powerful way to get a brand recognized. For Hispanics whose heritage is tied to the Caribbean or Venezuela, baseball rules. Among Latinos across the American West, the Los Angeles Lakers and team superstar Kobe Bryant still command much Latino fan attention despite the rise of the crosstown Clippers and other Western Conference teams. In Miami, a typical tailgate party ahead of a Dolphins home game features churrasco, salchicha and a cacophony of car stereos blaring salsa and reggaetón tunes while the Miami Heat have become the team of choice from Westchester to Weston. Additionally, boxing and UFC mixed martial arts telecasts have become major events for thousands of Hispanic males in their 20s and 30s. 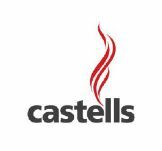 experienced challenges due to cost and accessibility. That being said, soccer was the principal topic of discussion among the Hispanic media and advertising executives contacted for our fall 2010 Hispanic Sports Overview report, underwritten by premier sponsor FOX Deportes. With coverage of the 2014 FIFA World Cup set to break Nielsen radio and television audience, we are pleased to revisit our 2010 report, as much of the content is still highly relevant for marketers. Media buying and planning for the 2014 World Cup has already concluded, but there’s much more in store for savvy marketers who crave the passionate Hispanic sports fan. Let this report once again serve as a wake-up call for marketers to not only target the Latino soccer fans, but also Latinos who love other sports. The opportunity to activate Latino sports fans can start today. All it takes is a little knowledge, a good pitch and a clear goal. The Adam R Jacobson Editorial Services & Research Consultancy, in partnership with HispanicAd.com, is again making available at no cost the first Special Report to Hispanic marketing and advertising professionals that zeroes in on the two biggest topics agency heads and key C-Suite executives are talking about: Social Media and Sports. The report is available by request by clicking here. We thank impreMedia, ESPN Deportes, Fox Deportes, GOL TV and GLR Networks for their support, which makes it possible for us to provide research and information such as this to you via our distribution partner, HispanicAd.com. “When it comes to reaching Hispanic men and women, linking in with a Sports brand – whether it be an athlete, a team or a league – has proven to be extremely popular … and effective,” says Jacobson, a veteran journalist and media marketing strategist and producer of the Hispanic Market Overview reports. Easy-to-read sections are devoted to the opportunities that exist for marketers by engaging Hispanic sports fans through text-to-win promotions, Twitter, Facebook and other social media platforms. Among those interviewed are Wasserman Media Group VP/Hispanic Marketing Heidi Pellerano, noted Hispanic blogging expert Manny Ruiz, Hispanic sports media executives, Orlando Magic VP/Communications Joel Glass, and journalists Kevin Baxter (Los Angeles Times) and Bridget Carey (CNet). The Hispanic Market Overview series of reports are produced by the Adam R Jacobson Editorial Services & Research Consultancy. The U.S. Hispanic Social Media & Marketing Overview, presented by Story Worldwide. A presentation from the Adam R Jacobson Editorial Services and Marketing Consultancy via HispanicAd.com. Longtime U.S. Hispanic market journalist and market research specialist Adam R Jacobson, in association with HispanicAd.com, has added to the archives of AdamRJacobson.com the US Hispanic Social Media & Marketing Overview, presented by Story Worldwide. 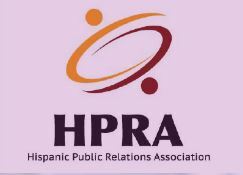 This 2010 Special Report, presented in a White Paper format, investigates the importance of social media & social marketing, and review the implications for companies actively targeting Latinos, advertising agencies active in the Hispanic market, U.S. Hispanic media and the PR Industry as a whole. Interview subjects include social media guru Brian Solis, José Villa of Sensis, Tamara Barber of Forrester, Alma head Luis Miguel Messianu and then-interactive director Andrea Arnau, SMG Multicultural’s Marla Skiko, Lee Vann of Captura Group, Karla Lucia of Latinsphere and Chiqui Cartagena (then of Story Worldwide), among others. “This report is designed to bring fuller understanding of the opportunities available to marketers and advertisers through social media in the U.S. Hispanic market, and we encourage all to partake in every opportunity to learn,” says Jacobson, publisher of the well-received Hispanic Market Overview, launched in 2010. The U.S. Hispanic Social Media & Marketing Overview, presented by Story Worldwide, is the second in the series of independently produced projects distributed in association with HispanicAd.com. Jacobson launched the series of reports following a nearly four-year stint at Hispanic Market Weekly, most recently serving as senior associate editor and content director for the HispanicSportsBusiness, CMO Essentials, Industry Snapshots and HispanicEntertainmentBusiness platforms. He also developed Hispanic Market Weekly’s Enhanced Market Profiles and is the author of many of the publication’s acclaimed special reports. Jacobson’s previous experience includes various editor and columnist positions at former music industry trade publication Radio & Records; Publications Editor for the American Translators Association; Associate Editor for LatinaStyle Magazine; and as a contributing editor for Hispanic Magazine.